November 3-5 marked the weekend for the National BBQ News’ 10th annual “Best of the Best” Invitational and “Smokin’ in the Swamp” Open contests held in Waycross GA. The BOTB invites the top 5 teams of the year from all of the BBQ sanctioning bodies across the country to come together and have a head to head cook-off. Close to 40 teams competed in 3 categories of their choosing. The choices were chicken, ribs, pork, brisket or whole hog. Each category was scored, and the totals for each team were added up to determine the overall Grand Champion and Reserve Grand Champion. For my 3 categories I chose ribs, pork, and brisket. I would come to find out later that these were the most popular choices and had the most entries. When the awards were announced I won 1st place ribs, 2nd place pork, and 12th brisket which earned me Reserve Grand Champion! Immediately after awards we began preparing for the Open contest, which would include the same from the Invitational plus about 30 more teams. 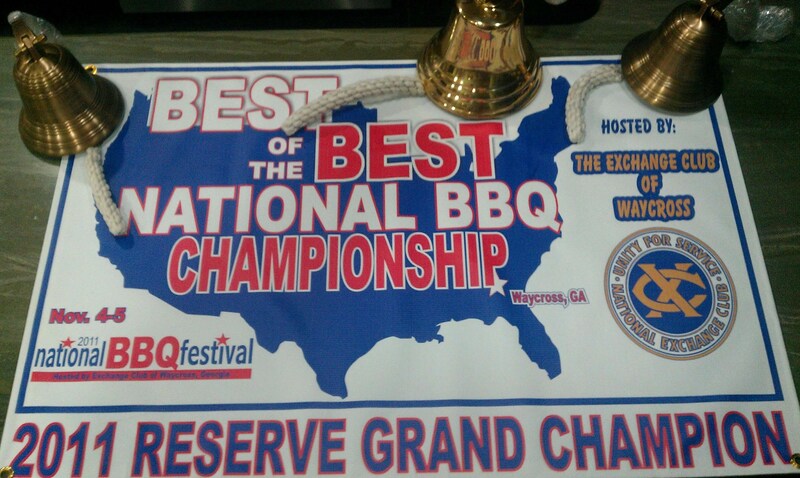 I didn’t do quite as well, but did manage a 9th place in ribs and a 2nd place in brisket for a 9th overall. These contests award engraved brass bells to the top 3 in each category, so I was able to bring home 3 of the coveted awards as well as the title Reserve Grand Champion at the “Best of the Best.” All in all a fantastic weekend! 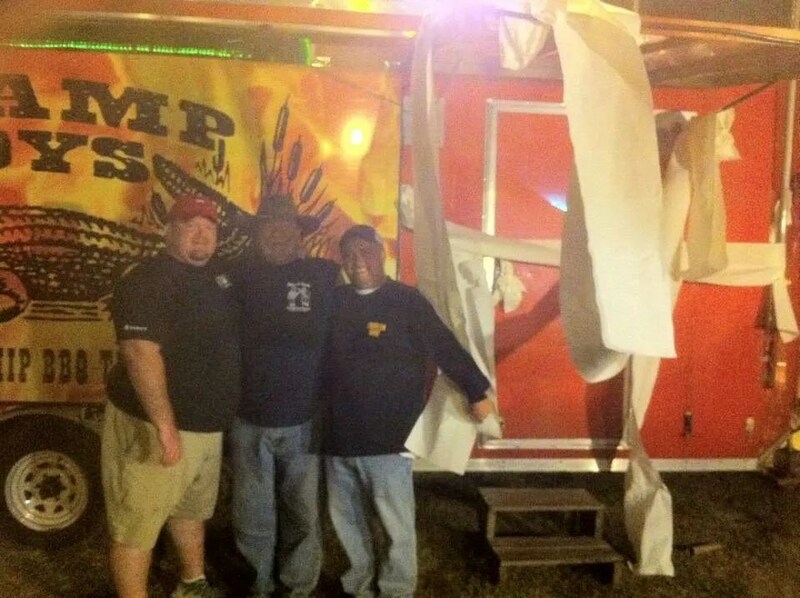 Whiskey Bent, Blues Hog, and BBQ Crew TP'd my trailer Friday night!